The distribution of mass in the universe is more complicated, but practically all of the mass in our world is found in the protons and neutrons that comprise atomic nuclei. These nucleons are in turn constructed from more fundamental constituents known as quarks. Surprisingly, the mass of nucleons is much greater than the mass of their quarks -- most of the mass in our world arises from the quantum fields that confine quarks within nucleons. The theory that describes the interactions of quarks and their binding fields, known as QCD, is mathematically elegant but it is very difficult to accurately predict the properties of nucleons and their low-energy excitations because the fields interact strongly with themselves as well as with the quarks. 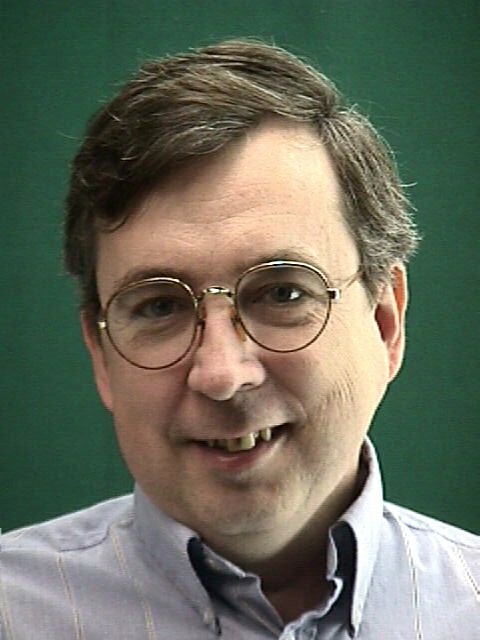 Prof. Kelly's most recent research in Experimental Nuclear Physics used the scattering of high-energy polarized electrons to study the structure of the nucleon and its low-lying excited states, mostly conducted at Jefferson Laboratory in Newport News, Virginia. He was most deeply involved in several experiments that use polarization observables for quasifree scattering of polarized electrons from the neutron in deuterium or 3He to measure the distribution of charge within the neutron. Although the neutron has no net charge, the small difference between the spatial distributions of its charged quarks produces a slight excess of positive charge in the interior that is balanced by a slightly negative surface charge. Electron scattering with large momentum transfer enables one to measure this charge distribution with unprecedented accuracy. Similar experiments for the proton, also performed at Jefferson Lab, recently demonstrated that the charge is distributed over a slightly larger volume than the magnetization even though older experiments with less precision suggested that those distributions were practically identical. He was also a co-spokesperson for experiment e91011, which used recoil polarization in a reaction that produces a neutral pion, an elementary particle that participates in the interaction between nucleons, to measure properties of the first excited state of the nucleon. This excitation is closely related to the quark-quark interaction that is also responsible for the charge separation in the neutron.. Previously he studied the density dependence of the nucleon-nucleon interaction and neutron transition densities by analyzing both electron and proton scattering by nuclei. A summary of these activities and a list of publications can be found in his research summary. Prof. Kelly prepared three complete courses using Mathematica. This is a comprehensive tutorial course designed to develop mastery of Mathematica concepts, tools, and programming techniques. These materials were originally employed in a one-semester course for advanced undergraduate and beginning graduate students, PHYS426, but many others have used the materials for independent study also. A graduate course in statistical physics that makes extensive use of Mathematica both in the text and the exercises. 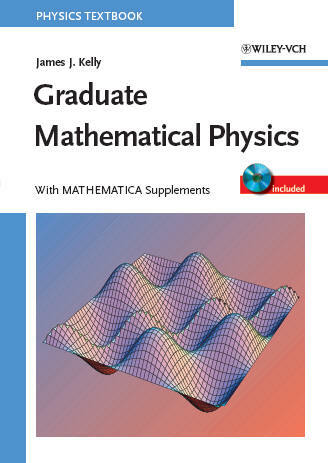 This courseware has been used in the first-year graduate statistical mechanics course, PHYS603, at the University of Maryland. A one-semester graduate course in mathematical methods. The primary topics include: theory of analytic functions, integral transforms, generalized functions, eigenfunction expansions, Green functions, and boundary-value problems. Here, because the emphasis is on analytical methods, Mathematica is used mostly for typesetting, figures, and in problem solutions. Click here to order! Prof. Kelly passed away in 2007. The majority of the text is verbatim from his prior web page. This page is maintained by the Experimental Nuclear Physics group at the University of Maryland, last revised on Feb 29, 2008.